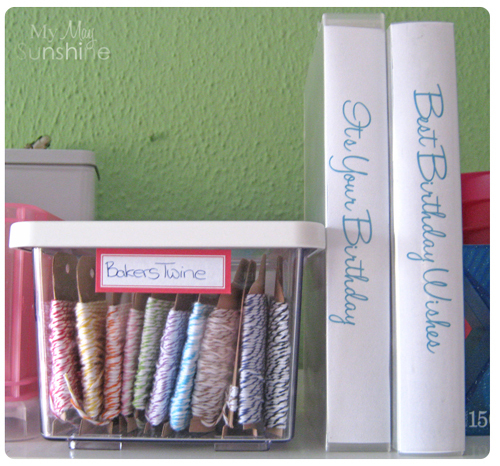 For the third part of the Craft Room Organisation, I wanted to show you how I store my brads, eyelets and bakers twine. 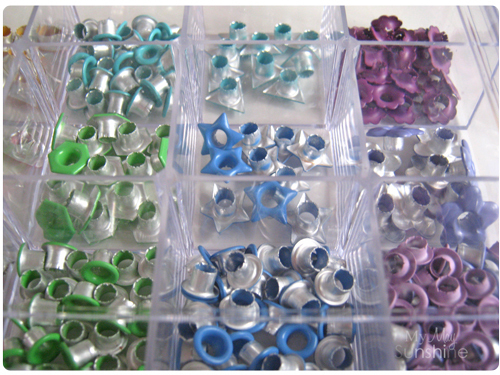 To start off, to store brads and eyelets, I use three clear plastic bead boxes. 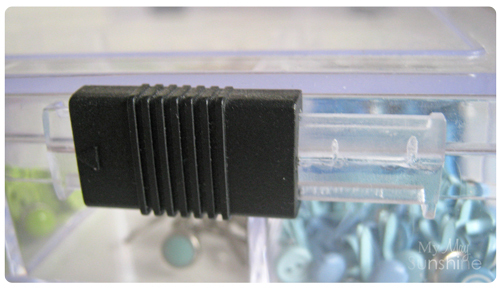 2 contain brads and 1 contains eyelets. 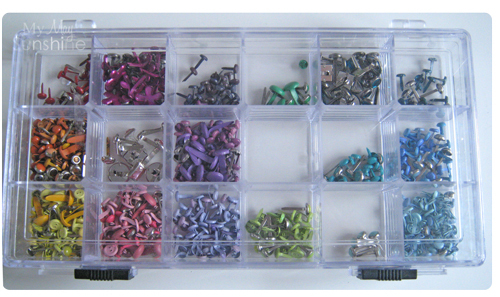 I found these bead boxes at Hobbycraft and they are great as they are the perfect size and with the sliding closures means it is harder to open if they fall on the floor. 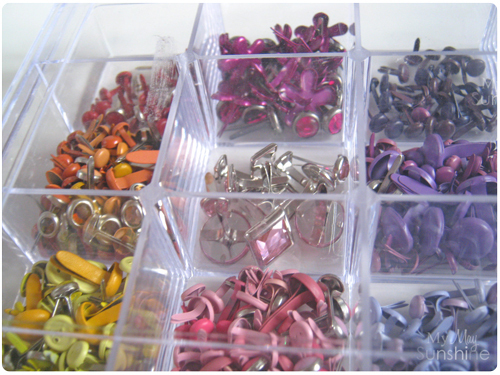 I decided to separate them by colour rather than style, that’s the way I roll, I prefer to have things organised by colour. 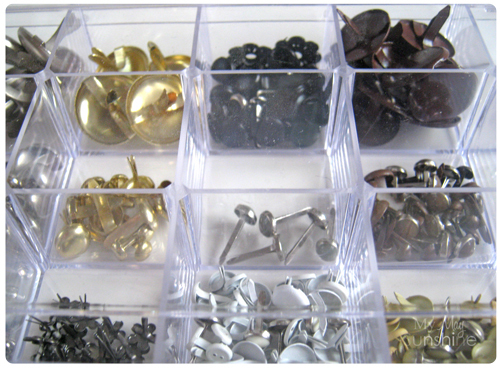 The boxes stack on top of each other very neatly and I store them on a shelf with a piercing mat on top, ready for using with the brads. 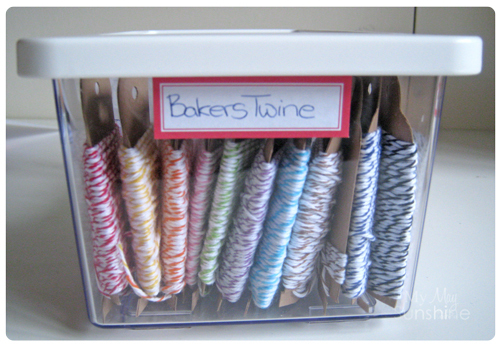 To store the bakers twine, I use an Ikea Krus container. 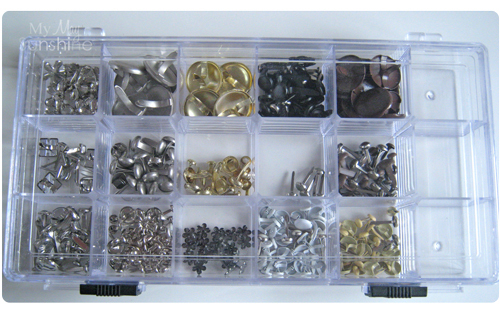 They are yet another kitchen product that I chose to use in my craft room. 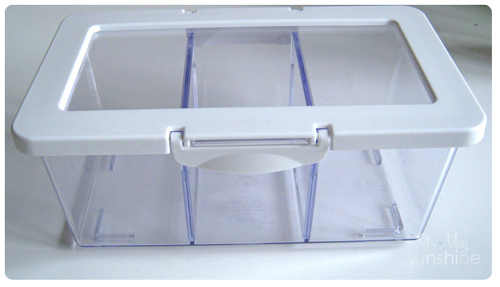 It has 2 dividers which can be removed if needed and I decided to keep one in and take one out. 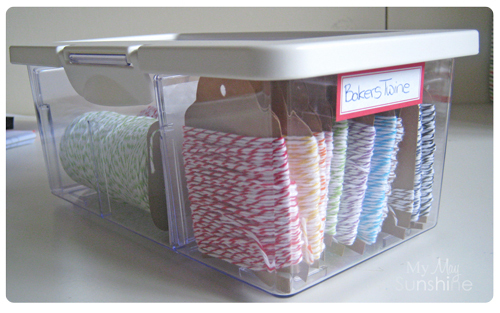 By doing this it allowed me to store the 2 reels of twine as well as the smaller amounts. I created some tags so that the smaller amounts of twine could be stored neatly and for any offcuts of twine. 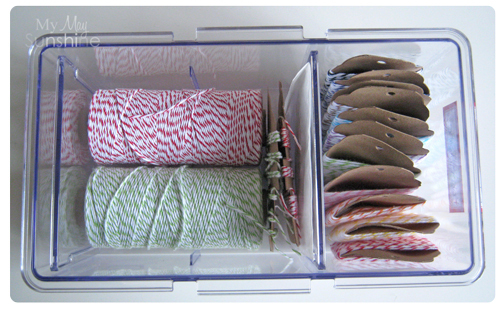 These sit in the smaller side of the box, on their sides so that I can see the colours of the twine easier. Then the 2 reels of twine just fit in the large side of the box with the offcuts of twine. 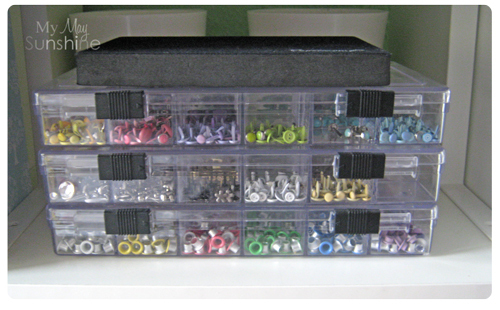 So the box then just sits next to my Amy R stamps on the shelf. 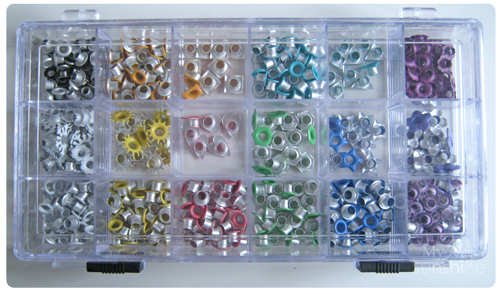 That’s how I store my brads, eyelets and twine, keeping them all neat, organised and colour coded. Previous Post Mojo Monday Sketch 231 – Claire’s Birthday Card. Beautifully done! 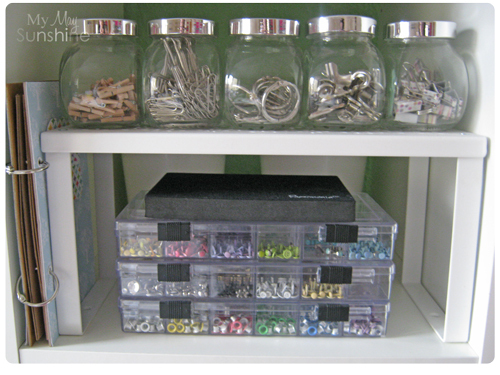 I love to display my supplies by color, too, preferably in glass jars and bottles. I've got dozens in my craft room. See the tour on my blog if you wish. Love your little jars, so pretty. Thanks. Great craft room too.